Property was spacious and clean with good transport links to the inner city. The property also has some close amenities. Taxi to Old Town is roughly £5 depending on taxi provider. Helpful host, well-furnished and comfortable apartment with a good location near the centre. Good value. The location was great and the apartment was lovelier than shown in the pictures. It was a treat to call it home for a week. Good value, friendly owners. Excellent secure car parking. Thanks. Parking was great. Jacquie allowed us to arrive earlier so we could park which was very helpful. Place is beautiful and about a 30/45 min walk from the centre. Everything. The apartment was so comfy and well equipped and clearly a lot of thought put into it. Very comfy beds too. Unbelievably helpful hosts thank you so much. The apartment is just great!! Everything is new and with lots of nice details. It´s very cosy and you feel like at home. 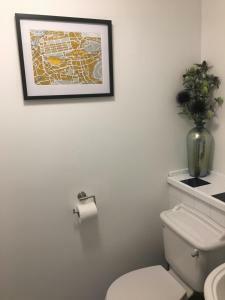 The location is also very good (within walking distance to Arthur's Seat, Holyrood Palace, Scottish Parliament, and Royal Mile. Great value for money!! Would choose this apartment again without a doubt. Lock in a great price for The Bothwell Bonnie Thistle - rated 9.6 by recent guests. One of our top picks in Edinburgh – and a guest favourite. 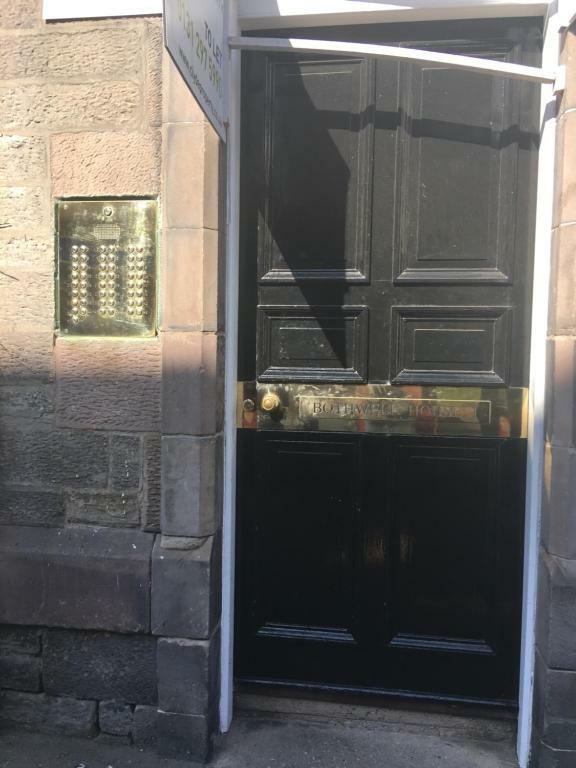 Just 0.8 miles from Edinburgh Playhouse and 1 miles from Camera Obscura and World of Illusions, The Bothwell Bonnie Thistle features accommodation in Edinburgh, with a terrace. Guests staying at this apartment have access to free WiFi. Royal Mile is 1.7 miles from the apartment. Edinburgh Airport is 9.3 miles from the property. The Bothwell Bonnie Thistle has been welcoming Booking.com guests since 11 Apr 2017. When would you like to stay at The Bothwell Bonnie Thistle? The super-king size bed can be set up as 2 single beds if requested in advance. Free secure parking is available at the property. 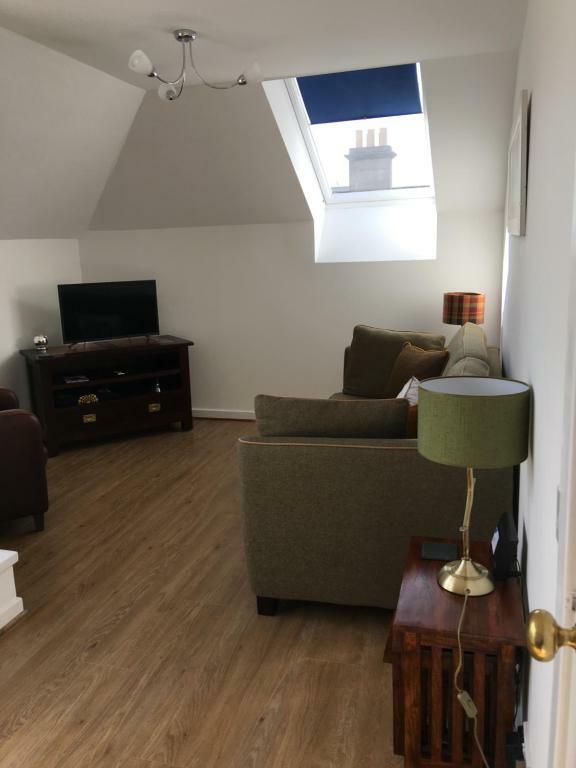 Situated in a quiet, residential building "The Bothwell Bonnie Thistle" is a well appointed, tastefully decorated 4th floor attic apartment that is accessed by a lift. The double bedroom has a super king size bed that can be divided into two single beds if required. The living room area also has a pull out bed that is suitable for a child (under 16) to sleep on. 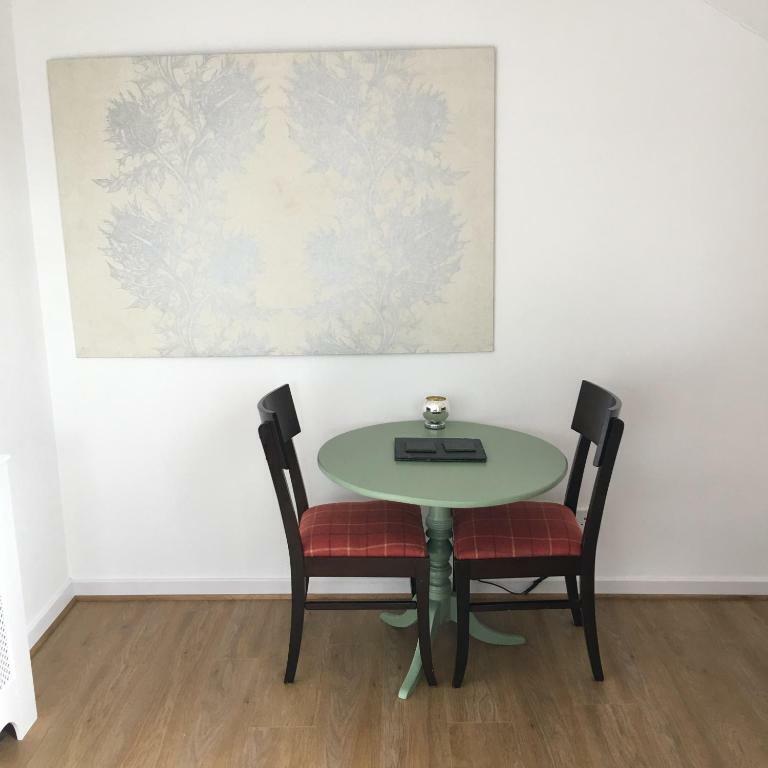 The apartment boasts its own small roof terrace with table and chairs offering a fantastic outside space for guest to enjoy the fresh air and views over Edinburghs Arthur Seat and Calton Hill. The apartment also benefits from having its own secure parking space which guests are able to make use of if they require a car whilst in Edinburgh. 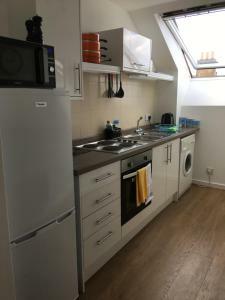 The newly fitted kitchen is fully equipped with a electric hob & oven, microwave, fridge freezer and washing machine. High quality kitchen and dining utensils are also provided. The bathroom has a bath, electric shower and heated towel rail. The comfortable living and dining room areas are beautifully decorated in a Scottish Theme. There is also a flat screen, wifi TV. Free Wifi is available throughout. We welcome guests who respect our property and neighbours. Definitely no parties. 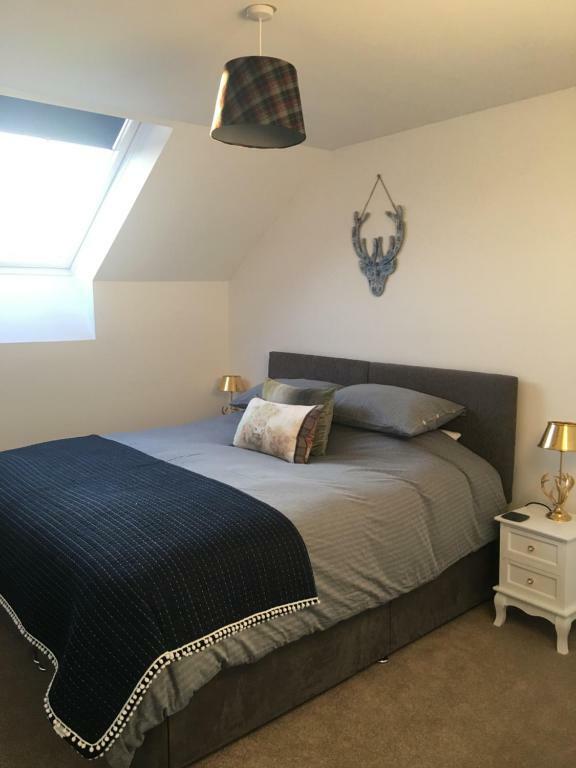 We would be delighted to welcome you to our new " Bothwell Bonnie Thistle" holiday apartment located within the heart of Edinburgh. Being local to Edinburgh we look forward to sharing our knowledge of the city by offering advice, information on what to see and do depending on your own interests while you are in Edinburgh. Ian has an extensive knowledge of Scottish history and geography and can offer tours of the city and further a field by separate arrangement. A pick up service to and from the station or airport is also available by separate arrangement. 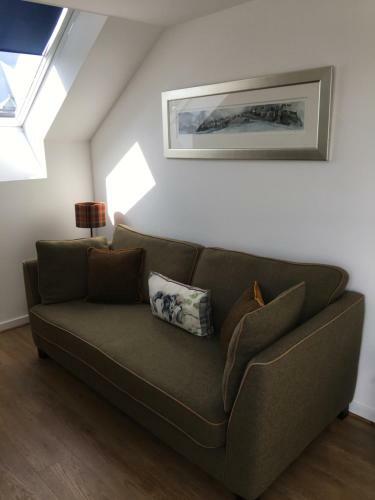 "The Bothwell Bonnie Thistle" is located to the east of the city centre and close to many tourist attractions which can be easily accessed on foot as so much is within walking distance or via a frequent bus service that runs very close by. The city bypass is a short drive away and leads to the south via the A1 and to the airport and central belt motorway network. Waverley train station is 10 minutes away by taxi and Edinburgh airport can be reached by the number 35 bus that runs close by. The main shopping area of Princes Street can be easily reached on foot or by public transport. Locally there are a wide variety of specialist shops, supermarket, cafes, restaurants and bars. Recreational facilities include Meadowbank sports centre, Holyrood Park, Arthurs Seat, Calton Hill, The Royal Commonwealth Pool, Playhouse Theatre and Omni Centre. House rules The Bothwell Bonnie Thistle takes special requests - add in the next step! Secure parking is available at the apartment. Guests must inform the property in advance if required. Check-in after 20:00 is available only by prior notice and subject to approval from the property. Please note that the apartment must be left clean or a fee of GBP 30 will apply. Please inform The Bothwell Bonnie Thistle in advance of your expected arrival time. You can use the Special Requests box when booking, or contact the property directly with the contact details provided in your confirmation. Nothing I didn’t like at the property. Jacquie was very accommodate host, she arranged our transfer from / to the airport with her son Todd, and her husband Ian ,which is a very pleasant experience. The flat is very comfortable, clean, cozy and well designed. Everything was perfect into the apartment and especially our double bed - it was really very comfy. The kitchen was very comfortable to use, very equipped and the washing machine was very helpful for our 10 days stay. The location is great, it is walking distance from the city center about 10-15 min. There are quite a few places of cafés,bars bakeries and supermarkets- you can Find everything. We enjoyed every minute of our stay at this place and Edinburgh is great city ! Would definitely visit again. Thank you for everything ! Very comfortable, cozy and well designed flat. The location is great, in walking distance from the centre. There are quite few places with nice breakfast offers around. The owners are very welcoming and helpful. Excellent and very safe parking. We enjoyed every minute of our stay at this place! I particularly liked the themed decor and soft furnishings of this flat. Rooms had separate doors and the small terrace was also lovely to have! The kitchen was very comfortable to use as well. Well equipped.